It's not based off the tuner, timing being pulled based on IAT is factory and the tuners don't adjust it. Not sure if they know how too or not. WOW. Timing cuts start at 95*F- IAT temps that is crazy! Last edited by Drew Durham; 10-15-2018 at 03:04 PM. I do not to my knowledge have any aftermarket heat exchanger, however it is painted black. I was actually looking at getting a secondary, would this be a better option then replacing the stocker with a larger unit? Your not going to see your peek temps come down or come down by much with a secondary, I know through weeks of testing. It will recover quicker but recover quicker to what. If it's 90+ outside you can pretty much forget it. Given that you want to track it once in a while and its most likely going to be warm I would recommend killer chiller. The secondary as in my case works well for normal driving and not too warm weather. At the end the only real thing that will drop those temps is the KC driving around not worrying about flipping switches or refilling anything. +1 for the Killer Chiller. If you ever race at the dragstrip, a bigger H/X won't do you any good until the car is moving and by then you've already given up a bunch of ET. Sitting in the staging lanes on a hot day can have your starting IAT's be over 120. I installed a Killer Chiller with a front mount tank to replace the H/X and I've never looked back. Now my starting IAT's are around 55 degrees, regardless of weather. They still rise about 60 degrees during a 1/4 mile run, but ending up at 115 is much better than ending up at 165. Plus I don't have to worry about toting around bags of ice and hoping it won't melt if the car in front of me oils down the track. The only downside I have seen is that on a hot day it takes about 5 minutes for the cabin temp to drop because you are cooling a gallon or two of hot water if it's been sitting in the heat all day. Just because other cars can tolerate it, doesn't mean this one can. That's not how it works. Most tuners don't remove safety things like that, because then you get "I had xxxxxx shop tune my car and my pistons cracked!!!!!" I know when I tune cars for people, I don't remove IAT limiters or certain things that protect the car from an unknowing owner. In my personal car I can take the risk, because if I break it, I fix it. But I can't tell a guy (Everyone wants 'max power, but safe' tunes BTW) that if I remove this stuff, the car will be a little faster when it's getting too hot, but if you keep pushing it, you can damage it. Safer to tune it to run well when it's all in the green, and back down to be safe when it's too hot. Good to know. I can def see how someone could blame the tuner for blowing their engine as well even if they wanted the factory safety parameters removed. I was just wondering if it were even possible to remove them but toy started that you could remove from your own vehicle so I guess so. My tuning has been through HP Tuners, Cobb and Megasquirt software, no Benz tuning yet but the theory is the same and the parameters are there on everything. 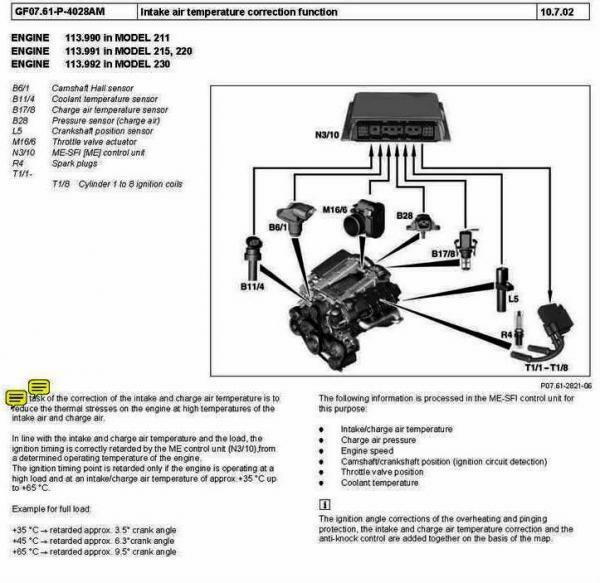 What ever you were tuning with HP/Cobb/Megasquirt was probably 100x more friendly than these german ECUs that appear to have been designed with pentagon level security. Yes and no. HPT now has support for many Benz products. I see comments by many recommending Raceiq for a ECU and TCU tune. Are they still in business? I've been trying to contact them over the past 2 weeks, left voice messages, sent emails and get no response. Any ideas? tell em riley sent ya.